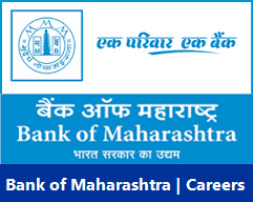 Bank of Maharashtra Recruitment 2017 | 110, Specialist Officers (Scale IV & II) Posts: Bank of Maharashtra has published Recruitment notifications for Specialist Officers in Scale IV & II. 2017. More information please read below mention officially notifications carefully. • Chief Manager Balance sheet (Scale-IV): 01 Post. • Civil Engineer (Scale-IV): 01 Post. • Chartered Accountants (Scale-II): 100 Posts. • Civil Engineer (Scale-II): 04 Post. • Electrical Engineer (Scale-II): 02 Post.